Shopify Multi Vendor Marketplace : Shopify Multi Vendor Marketplace app is a great tool to convert your shop into a fully functioning marketplace. It facilitates the process of adding sellers and keep track of their sales. Sellers can create their own shop with variety of products. Admin can easily set individual commission and global commission for all the sellers. Shopify Multi Vendor Marketplace - Shopify Multi Vendor Marketplace app is a great tool to convert your shop into a fully functioning marketplace. It facilitates the process of adding sellers and keep track of their sales. Sellers can create their own shop with variety of products. Admin can easily set individual commission and global commission for all the sellers. Admin can set global commission for all the sellers & can also set separate commission for individual seller. Admin can allow/disallow seller to add product. Admin can easily upgrade or downgrade the plan. 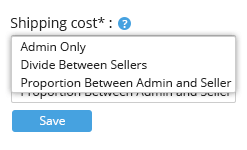 Admin can allow /disallow seller to add Taxes. Admin can set category wise commission . Admin can set Product wise commission . Admin and seller, both can upload products through CSV file. Admin can import the existing products to his shop. Only Admin is authorized to login from Backend, that is why there is No security or access right issue. An extremely amazing feature of Multivendor marketplace is “Reminder Feature” to remind the vendor for order fulfilment. In this ,once the order is placed by the customer ,the Admin can send reminder to the vendor for order fulfilment & an automatic mail will be sent to the vendor. Admin can pay the vendors by paypal payment gateway through the app .It is mandatory for both Admin & Seller to have Business Paypal Account. Admin can allow/disallow seller to delete the Product. Admin can Approve or Auto Approve Product uploaded or posted by the Vendors. Now We have introduced Shipping in Multivendor Marketplace App which will enable the admin to configure shipping methods from his end for sellers and sellers can configure the shipping methods on the basis on price or Weight of the product. Much more informative dashboard showing Total Seller , Recent Orders and their fulfillment status and details of Total sales. Display extra information about product on your store’s product description. You can enable/disable the make collection mandatory button. Admin can allow/disallow the seller to view customer details. Admin can enable or disable the display Total order amount & Total order commission on the dashboard. The user can import the product either by selecting the period and entering to and from date or it can be imported by uploading a CSV. The option of custom field for product description page on front end as well. Payfast payment gateway is newly introduced as a payment mode between admin and seller. Admin can enable /disable the option of sending mails and can also edit the content of the automated mails sent to the sellers and customers from the mail configuration section. Feature of shopify multivendor marketplace app –The Seller Buyer Chat where buyers can chat with sellers of the product directly .We are here to bridge the gap between buyer and seller by this app which will enable them to communicate through this app. Admin enables the Seller-buyer chat option. Seller -buyer can chat with each other. Quick solution and on the spot clarity on issues. Much more streamlined process of communication. Messages can be sent even if the receiver is offline. Enable C2C marketplace where you can convert your customers into sellers with ease. With ask a question add on customers can ask questions related to the products directly from the vendors of the products. Both admin can vendors will be able to view and answer the questions asked. And admin can view the whole conversation history between buyers and sellers and much more. Shopify Multivendor Marketplace app can now be integrated with Clockwork SMS tool for sending automated messages for newly placed orders to admin as well as to vendors. Shipping in Multivendor Marketplace App which will enable the admin to configure shipping methods from his end for sellers and sellers can configure the shipping methods on the basis on price or Weight of the product. Feature of shopify multivendor marketplace app – The Seller Buyer Chat where buyers can chat with sellers of the product directly .We are here to bridge the gap between buyer and seller by this app which will enable them to communicate through this app. Seller buyer can chat with each other. Now customers can ask questions related to the products directly from the vendors of the products. Both admin can vendors will be able to view and answer the questions asked. And admin can view the whole conversation history between buyers and sellers and much more. Shopify Multivendor Marketplace app can now be integrated with Clockwork SMS tool for sending automated messages for newly placed orders to admin as well as to vendors. This integration will add up an additional $5 per month to your existing monthly plan of Shopify Multivendor Marketplace app. Click here for the detailed User Manual of Clockwork SMS tool. Variant Wise Commission : Variant wise commission can be set where the commission will be on the basis of commission set on product variants. Product Wise Commission : Product wise commission can be set where the commission will be on the basis of commission set on each product. Category Wise Commission : Category Wise Commission can be set where the commission will be on the basis of commission set for each category or collection. 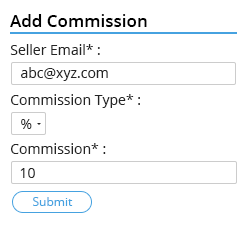 Seller Wise Commission : Admin can set seller/vendor wise commission from the “Commission Setting” menu of the multivendor app. The commission is the merchant part from the order amount and the rest would be the vendor part. Global Commission : First of all the merchant can select the type of Global Commission, i.e. applicable for all the vendor products irrespective of any category or any product type. Merchant can do it at the time of installing the app or can change it later from the app configuration , and it can be set in below given four ways. Proportion Between Admin & Seller : Tax distributed proportionally amongst the admin and the seller. Admin only : Whole shipping charge will be given to the admin. Divide Between Sellers : Whole shipping charge is divided proportionally between the sellers. Proportion Between Admin & Seller : Divided proportionally between the admin and the seller. 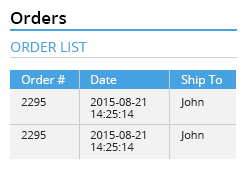 Sellers can easily manage the orders through the 'orders' from the seller account. From here, seller can view all the orders placed and can check the status. Seller can get the order status update . Seller can keep the track of order. Seller can fulfill the order from "orders" page . Seller can view the mode of payment through which customer has paid for the product. Mail to Admin for seller request approval/disapproval. Mail to Admin for product approval/disapproval. Mail to seller when the order is placed. Mail to customer about the order fulfilment. Reminder mail to sellers for the order fulfilment. Did you buy Shopify Multi Vendor Marketplace? The app functions very well with no issues. Outstanding communication and support, really superb! Unbelievable! I've tried other Marketplace add-ons for my Shopify store only to find they missed the mark. Not by much, but did not satisfy all of my requirements. When I stumbled upon Webkul's Marketplace, I found they really put a lot of thought into this and in detail. The well thought out options available to any store owner that uses this app will meet or exceed those needs in my opinion. The support is very responsive and patient. They work with you to offer solutions and receive my feedback to make future improvements of this app. They actually listen to you. The cost of using this app is also extremely satisfying for what is offered. 5 Stars - I highly recommend trying this out! The apps does everything we need. The apps does everything we need, and what it doesn't do the support team is always available to try to fill the gaps. I sure recommend this app if you are going for a marketplace strategy in Shopify. Nítika has helped a lot since our last review. Information must be really detailed for customizations to be done as expected . Avoid confusions and be extra detailed on what you need to be done. Time difference is also a headache but Nitika works herself to give a good service! The app is very helpful to start a multivendor business! The app is very helpful to start a multivendor business! Not perfect (nobody is) but really good. The service deserves 5 stars. Some other users wrote, that the service is bad in many ways, but I didn't experience bad service at all. Neha and the team is responding very fast and more important are helping a lot. If I had a problem, they told me how to fix it or fixed it themselves. Thanks for that! They even wrote me an email, asking me if everything is going the way it should be or if there are any problems. There are some smaller issues with the app which I would score 4 stars. With smaller issues I mean the setting for example. It took me a while to custom the app the way I want it to look like. Some parts of the app are inflexible. Adding products is also kind of odd at the beginning but I wrote an introduction to my vendors how to use the app, so there are no problems anymore.